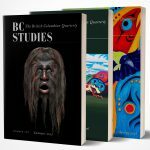 Recently, my research on crime history and community identity reacquainted me with the historical scholarship on boosters, those local businessmen (typically) who, in the late 19th and early 20th centuries, unendingly extolled the virtues and prospects of their adopted homes in Western Canada. Counted among the many aspects of boosterism that caught my eye during my student days and remained with me ever since, was the extent to which its proponents seemingly appeared unflappably optimistic. Their confidence in the rightness of their message seemed boundless. Often enough, their allies in these community-building ventures were clerics, educators, and professional people who not only expected success but also assumed that an integral measure of this achievement would be the cultivation of communities populated with the right kind of people. These were aspirant working-class or middle-class families of law-abiding, hard-working, white, Christian people who subscribed to patriarchal values. Yet in revisiting this scholarship within the framework provided by work such as Matthew Jacobson’s Whiteness of a Different Color, Renisa Mawani’s Colonial Proximities, and Robert Hogg’s Men and Manliness on the Frontier, I find myself wondering whether a deep and pervasive anxiety is actually at the core of the booster mindset. Rather than reflecting an optimistic confidence in a future in which their ideals would be the foundation of a robust and thriving community, their declarations may have been exercises in increasingly frantic self-reassurance. For while they extolled the supposed advantages of a society peopled with citizens corresponding to preconceived ideals, the evidence at hand suggested that new settler communities were drawing people from all over the racial, social, economic, cultural, and religious spectrum. In addition, as Mawani argues, the proximities and intimacies of some of the peoples proved to be the source of considerable unease for those who had imagined a white, patriarchal, and middle-class Christian social and moral order. Although a number of illuminating examples spring to mind, the brief glimpse of Charles Sagar’s story, unearthed by a graduate student enrolled in my crime history course, proved revelatory. Sagar, formerly a leading figure in Chicago’s Black theatre community had, at some point in the early 20th century, set out for Northern British Columbia where he plied his trade as a barber in lumber camps along the banks of the Nechako and Fraser Rivers. Along with his wife, he eventually established a barbershop and bathhouse in Prince George where the couple became active members of the Methodist Church. Glancing back upon his own ministry in the region before the First World War, Reverend H. Lloyd Morrison lamented that the Church had been unable to call upon Sagar’s considerable singing talents more often because of “color prejudice”. To that, the minister cryptically added that Mrs. Sager (whose first name is unrecorded), could have “passed” for a white woman. In late April 1921, the Prince George Police Commission released a report on pervasive concerns about criminality in the community. Despite a considerable body of evidence demonstrating that much of this disorder was rooted in a masculine culture fueled by alcohol, some opium, and an extractive economy favoring hard work and harder play, the Commission specifically targeted Prince George’s Black neighborhood as the epicenter of local law enforcement problems. The report inferred that regardless of whatever people did in the wilds outside of Northern British Columbia, Prince George was to be an ordered space where everyone should know their place. Failure to conform – but in particular for those connected to the Black neighborhood – was supposedly grounds for expulsion. That the Commission used the word in mounting this argument was, in hindsight, unsurprising if jarring nonetheless. Days after the report and its slurs, Sagar countered the Commission’s racist attack with a thoughtful letter to the editor in a local newspaper in which he extolled the virtues of a community unhindered by race-based generalizations in defining who was and was not right for the northern interior. His critique was nothing short of masterful, yet the exchange, with its assertion that some peoples were racially prone to criminality and disorder and thus represented obstacles to the attainment of an imagined ideal society, revealed a great deal about the insecurities and doubts of a portion of Prince George’s booster class. Although the evidence clearly indicated that the community’s law and order challenges were multi-faceted, it was easier and perhaps reassuring, to heap blame on a small and relatively powerless minority. That redress was had to what we now recognize as dog-whistle politics suggests, in the least, that for some such a response was much easier than actually confronting the shuttering of an imagined last, best, West.